I don’t know if this is really the case, but I would like to discuss what I consider to be the key ingredients to great project management offices, or PMOs. I’ve seen several project offices be constructed and torn down in well meaning organizations that were otherwise productive…except for the fact that were bad at providing a solid PM infrastructure. I was even building my own PMO and infrastructure – successfully too – before the entire organization collapsed suddenly and unexpectedly, which is fodder for a book someday, though I think one has already been written about it. Since I’ve seen multiple PMOs rise and fall I have come to be opinionated about what are good and bad ingredients for project management offices. For the purposes of this article, I will focus on what I consider to be the top four ingredients for an effective project management office. This may sound or seem obvious, but let me explain further. I have seen many PMOs being led by PMO directors who were basically just the most experienced PM in the group. That experience doesn’t make them a good leader. Plus, they were often leading projects themselves. I consider that to be a mistake. If you are dedicated to creating an effective project management office, put a good PMO director in place to lead it and keep him off of projects – except in the most extreme cases where his input is needed to overcome some roadblock or issue. PMs need guidance, training, career development, and accountability. The PMO director should already have a full plate just with those responsibilities. The long lasting PMO has executive buy-in. It is critical for the PMO to really be taken seriously in the organization. Companies with PMOs that aren’t supported by executive buy-in may lack funding and may also see key projects being led by special groups created outside of the PMO. These will only cause the PMO to be seen as a non-critical entity over time …leading to its eventual demise. A PMO stocked full of project managers with PMP and other certifications won’t guarantee success. It is critical that your PMO be made up of individuals with project successes (and failures) under their belts. Mentoring is essential and these experienced PMs who not only have real success stories, but ones about overcoming and learning from their failures, will be the best individuals to help new project managers in the organization learn how to effectively and successfully manage engagements on an ongoing basis. Best practices can mean a lot of things. But mostly what I’m focusing on here are things like reusable templates, a solid methodology, and a PM structure that promotes strong communication, good feedback, consistent practices and regular weekly project status reporting. PMs have lots to handle on a regular basis – especially if they are often leading five or six projects at the same time, as is usually the case. The more we can equip them with solid tools and practices that help breed regular project success and a consistent presentation to the project customers they engage, then the better off the will be and the more confident they will likely be in managing their projects on a daily basis. Nothing guarantees that your PMO will last forever and that 80% or more of your projects will be successful. But by following these concepts when constructing – or restructuring, if necessary – your organization’s PMO, then you will likely see more consistent success in the projects you are managing. 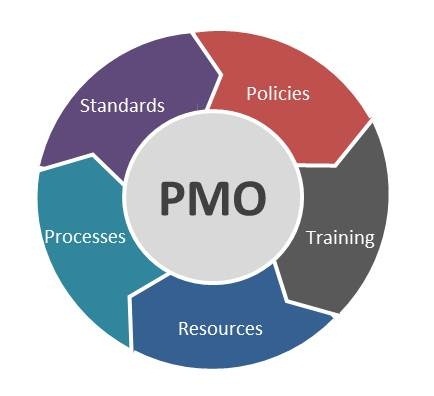 Please share your thoughts and opinions on what you consider to be key ingredients to successful PMOs. Our experiences with PMO successes and failures help us to take these forward and build even better PM infrastructures in the future.